How Do I unlock the Instant Action rides. Caverns secret mine cart ride. Having some issues? Maybe the timer seems a little too fast for you? Well here are a few hints. 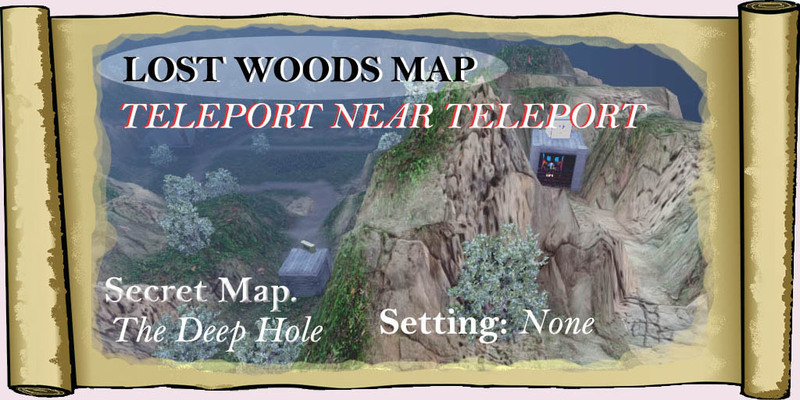 Use the teleport to save time. Instead of having to walk back you can sometimes use the teleporter instead. This can save precious seconds. 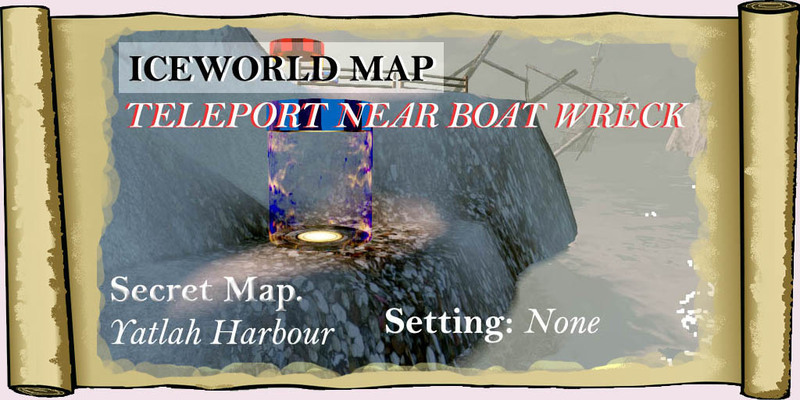 When using the hint boxes, try to identify a landmark of some type so when you look for that item you know it is nearby. 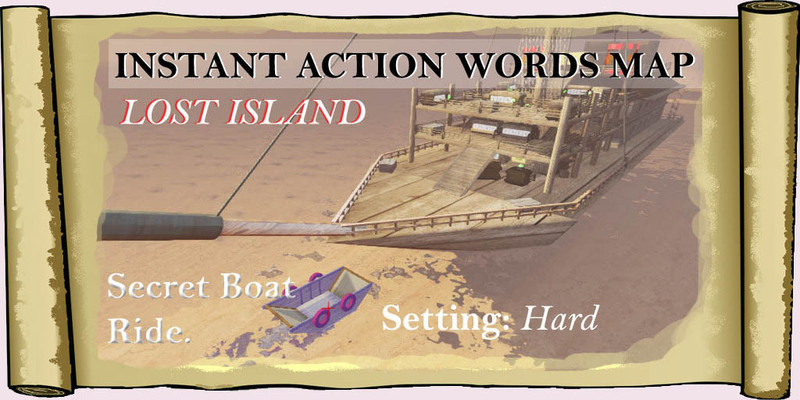 During the ABC Boss level write down the letters so you don't forget what you have collected. Anything that looks like a switch is probably a switch. Some switches will require you to press "E" or they will not work. I guess you saw a torch on the river? 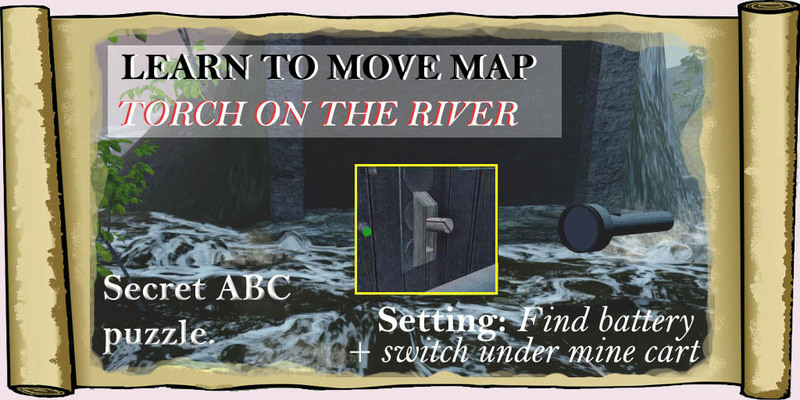 You need to have this torch when solving this secret because you will have a time limit to collect letters of the alphabet. The good news is that they don't have to be collected in alphabetical order! 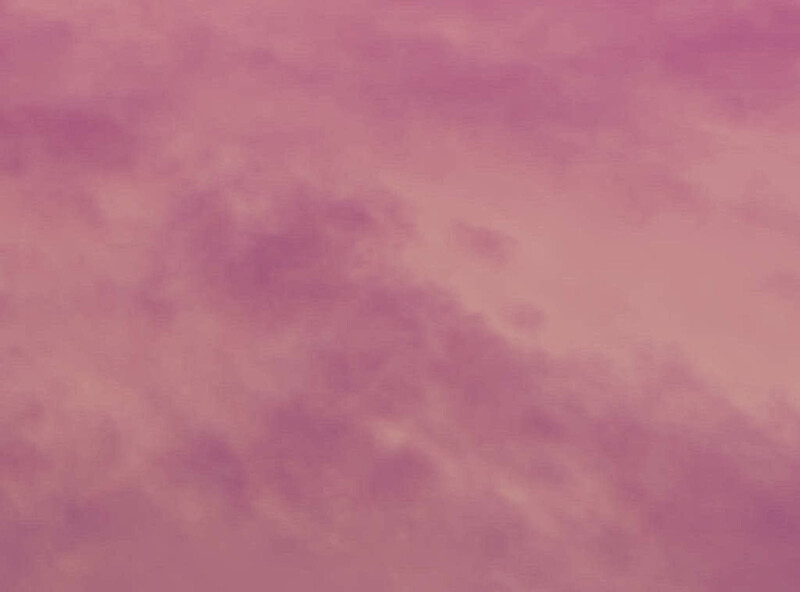 The hint scroll below explains what you will need to open this secret. 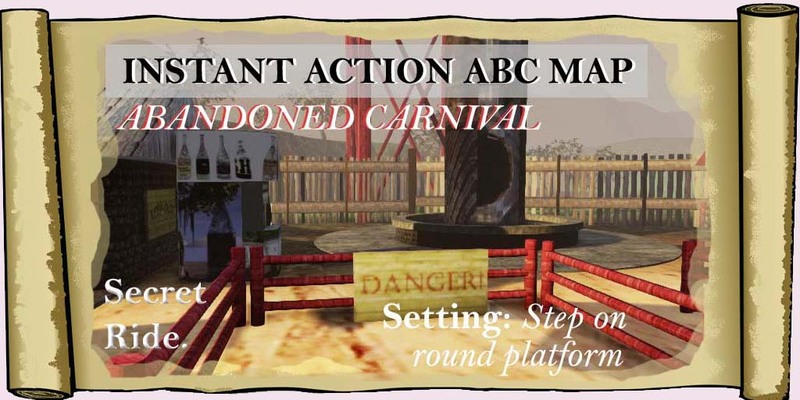 How DO I unlock the Instant Action rides? 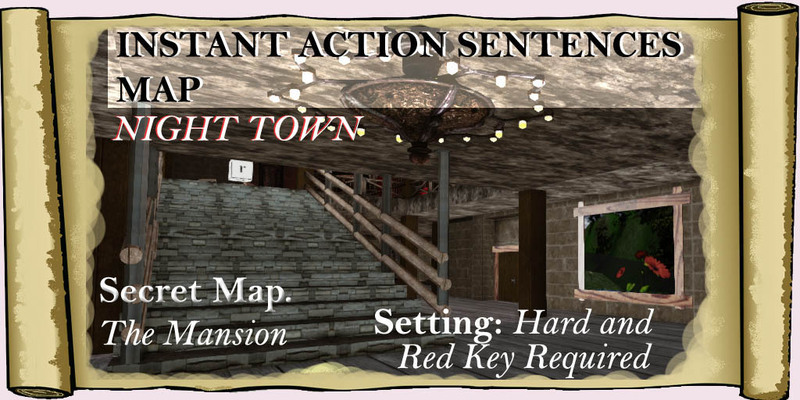 This works on all Instant Action training maps. Select Hard and complete the puzzle quickly first. Then find and collect the Spelling token, the Brother token and the lost doll. 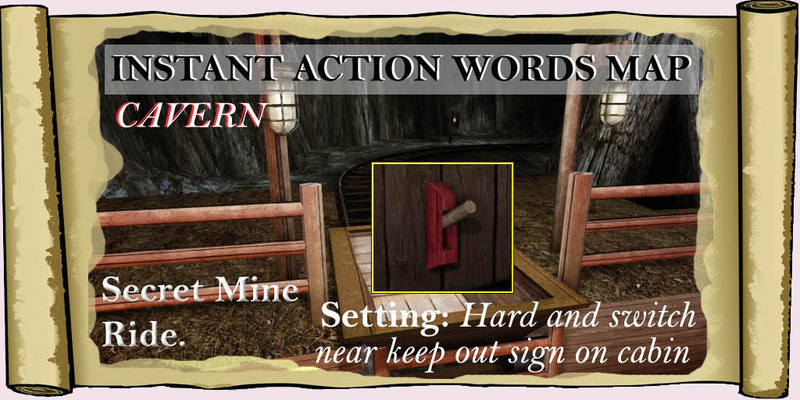 A camera will show a gate being opened after you collect these items and you will be able to enter the ride. 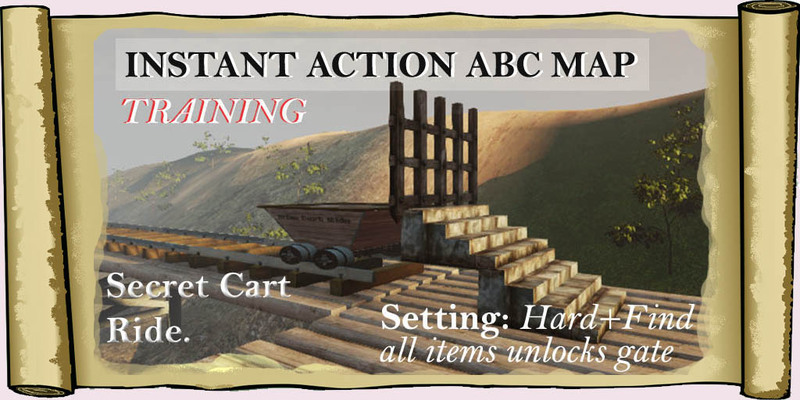 Ride the mine cart over and over but this can only be done by completing the Training Grounds first. 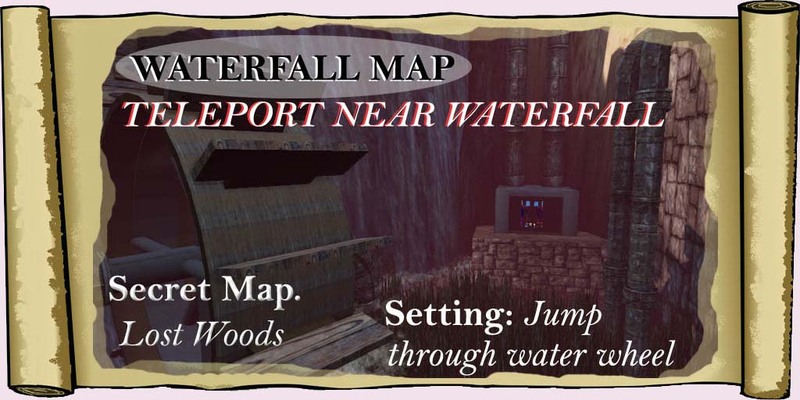 Exit the Training Grounds after completing all the puzzles and reload the game. 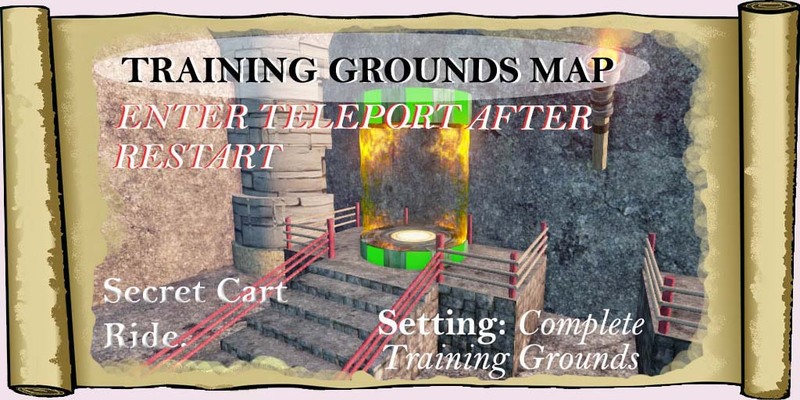 Walk over to the Green teleport and enter it and you will find yourself back in the mine cart! 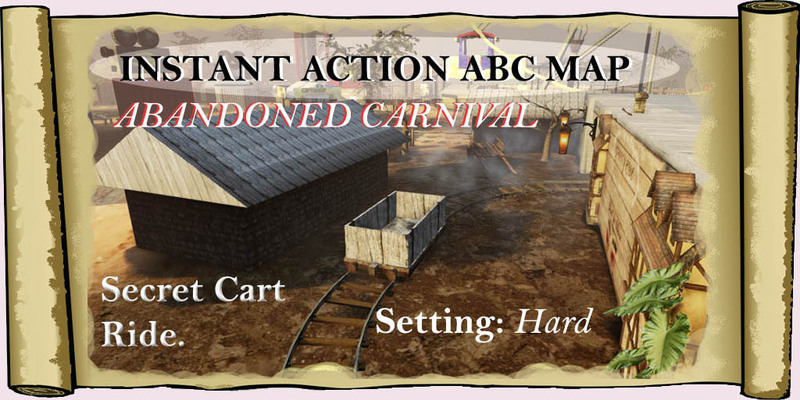 Exit the game and reload it to reset the mine cart. Have fun! Votes for DASM Spell Quest "Please Help!!" 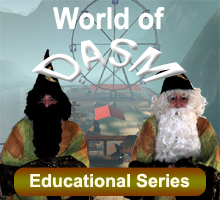 Hello DASM fans and new visitors! DASM Spell Quest has been listed in STEAM Greenlight for a little while and still needs votes before it can be released. We would like to sell our product through STEAM because they run 24 hours a day 7 days a week and will update any files automatically. The full version of DASM Spell Quest unfortunately is not free due to the fact that we are a self funded group and 99% of what we release will not cost you a cent anyway. We do have overhead costs and they need to be covered and giving all our stuff away is getting very expensive but we will continue to provide people with software that you cannot find on the market for as long as we can. So please vote and help support us!! Click HERE for your support. Don't have a STEAM account? It's really easy to sign up and it's free! Don't know how to sign up? Click HERE for some help.